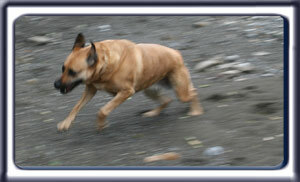 Ebbey the search dog playfully runs along a mountain stream. scent and making a successful find is much greater at night. for the night, which makes them easier for a search dog team to find.